HTC has issued its financial report for November stating a revenue of $522 million (NT$15.47 billion). That's up 3.2% from the results posted in October, but a decrease 27.1% year-over-year. According to analysts, HTC's reported financials meet market expectations with the Taiwanese looking forward to ship about 5.2 million smartphones in Q4 of 2013. However, things aren't looking as bright as HTC would've wanted them to be. 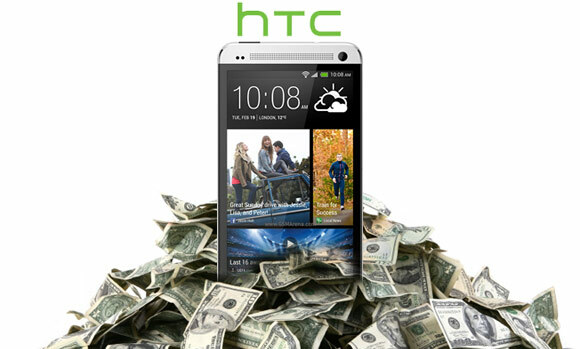 For the whole 2013, sans December of course, HTC's revenues amounted to nearly $6.45 billion - a 28.6% decrease compared to 2012. According to the company's report revenues are expected to slide from 4.25% to 14.89% sequentially to $1.35-$1.52 billion in the fourth quarter with a gross margin of 19-20%. According to analysts, the reason for HTC's financial dismay is the company's sliding market share in the US and Europe. The company hasn't been able to lure any new customers this Holiday season with its new offering being only the HTC One Max. We'll see if HTC will be able to pull any magic tricks, but it seems the company is done for 2013 as far as any new products are concerned. The Taiwanese look to be focused on the One successor codenamed M8.